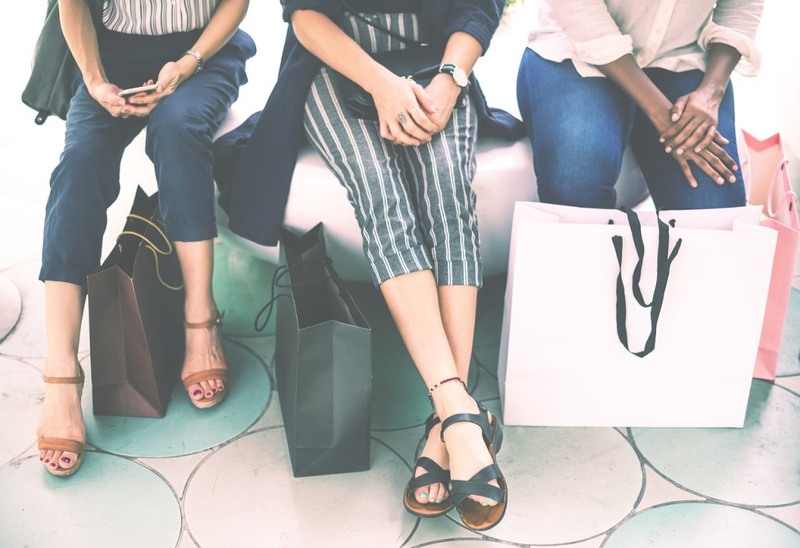 Giving discounts is an ancient tradition that always brings results – many merchants from ages past have used this technique to clear out unmoving stock, attract new curious customers, and strengthen brand loyalty. Discounts work for any business that sells goods and services, in any location in the world, but you can get better results if you tailor your discounts to certain scenarios or conditions. This is the first in a series of tutorials that will emphasize the different discount conditions that your WooCommerce store can benefit from when applied to discounts that you provide. What are role based discounts? Role based discounts are discounts that are available to your customers based on their roles in your e-commerce store. The roles that exist in a typical WooCommerce store include Customer, Shop Manager. Other roles that can be found within a typical WordPress site include Administrator, Editor, Author, Contributor, Subscriber. There are plugins that you could use to create more roles and define their capabilities, within your site. Great examples include the User Role Editor plugin, the popular Members plugin, and the Restrict User Access plugin. WooCommerce All Discounts plugin has options to let you set discounts for any customer role existing within your WooCommerce store. These discounts can be of a fixed amount or a percentage. The discount you set up can also be deducted from the subtotal of the order, from the total order amount (including or excluding taxes), from the shipping fees or more. The WooCommerce All Discounts plugin even lets you apply a fixed product price as a discount method, or offer a free gift. A typical WooCommerce All Discount, is set up by focusing on three aspects: the rules, the action, and the percentage or fixed amount to apply. The rules are the statements that determine the conditions under which the discount will be applied. The action entails while the application usually gives options like what percentage or fixed amount to apply as the discount. Previously ordered products count – Give a 50% discount to users in the Subscriber role that have bought up to 5 products from the “Sports Shoes” category, previously. Particular products – Give $10 discount to users in the “Dancers” role that have one or more products inside the “Leotards” product list, in their cart. Previously ordered products from a list – On Thursday, between noon and 6 pm, let users in the “Teen Titans” role have access to 15% discount on products in the “Surfboard” product list IF they bought at least one product from the same list in a previous order. Subtotal in cart – Give $10 discount to users in the “Privileged” role, that have a subtotal of $140 in their cart. Subtotal with taxes in cart – Give 25% discount to any customer in the “Subscribers” role that has a subtotal of $250 including taxes, in their cart. Total amount spent – Give $51 discount to any customer in the “Elders” role that has spent a total of $300 in the WooCommerce store previously. Shop currency – Give 5% discount to customers in the “Subscriber” role that selected the Nigerian Naira currency for payment. Payment gateway – Give 10% discount to customers in the “Asia client” role that bought a total of $210 worth of goods including taxes and used the Paypal payment gateway. Customer billing country – Give 5% discount to customers in the “USA client” role whose billing country is the United States of America. Customer billing state – Give 6% discount to customers in the “USA client” role whose billing state is Texas. Shipping country – Give $40 discount to customers in the “Asia client” role whose shipping country is Tokyo. Shipping state – Give $12% discount to customers in the “Africa client” role whose shipping state is Lagos. The Groups field is integrated with the Groups plugin for WordPress. The SendinBlue field is integrated with the SendinBlue Mailing list plugin for WooCommerce. The Newsletter field is integrated with the Newsletterplugin for WooCommerce. The MailChimp field is integrated with the MailChimp plugin for WooCommerce. The AffiliateWP field is integrated with the AffiliateWP plugin for WooCommerce. Reviews – Give a 12% discount to customers in the “Giants” customer role who review products in the “Anastasia” product list. Groups – Give $20 discount to customers in the “Giants” customer role who belong to the group(s) you select. SendinBlue – Give 10% discount to customers in the “Giants” customer role who have subscribed to your selected SendinBlue mailing list. Newsletter – Give 5% discount to customers in the “Giants” customer role who have subscribed to your selected Newsletter mailing list. MailChimp – Give 7% discount to customers in the “Giants” customer role who have subscribed to your selected MailChimp mailing list. AffiliateWP – Give 6% discount to customers in the “Giants” customer role who have followed any of your AffiliateWP links. Map out your desired discount – this gives you the edge of knowing what you want to achieve in plain terms. Create the role you need if it does not exist already. You can use any of the mentioned plugins to create custom roles in your WooCommerce store. If the desired discount requires product lists, please create them next. Product Lists group together WooCommerce products that match your requirements. This makes it easier to create discount creation e.g. products with a particular tag. Example: Give $10 discount to users in the “Dancers” role that have one or more products inside the “Leotards” product list, in their cart. Rules: IF Customer role IN Dancers and IF Order products in Leotards, [give] Fixed amount off product price: 10. Other attributes like start and end date are optional unless your desired discount needs such, e.g. restricting the dates of the discount to an interval is wise and will require start and end dates. Ensure your customers never get bored: be dynamic with the discounts you offer them. Use different tools to keep the fire burning and keep them loyal to your brand. WooCommerce role based discounts are one sure way of guaranteeing that their position in your site is appreciated and recognized. One such tool that will help you achieve what you need is the WooCommerce All Discounts plugin (WAD). The WooCommerce all Discounts plugin is a powerhouse of discount types and options, one of which is the role based discount type. Why not try the WooCommerce All Discounts plugin today? And if you have any misgivings, let us know via live-chat.